If you ever are fortunate enough to see and hear him perform, or perhaps have met him in person and laughed at his quick wit, you’ll probably agree that Lil’ Abe is a Cajun combination of Ray Stephens and the late Roger Miller, with a little Merle Haggard thrown in for lagniappe. Abe was part of Merle Haggard’s squadron in the ’90s, but eventually returned to his ancestral Gulf Coast homeland where he’s written, performed and recorded with various Cajun-country aggregations ever since. He’s recorded under his own name, has been part of the Moe-D band, The Honky Tonk band, and also Zydecane, but no matter who he performs with, Lil’ Abe always stands out in a crowd. When asked why he’s not out touring with some big country music act full time, he’ll tell you, “I like being home with my wife and family in Lil’ Chenier, where I can fish and hunt, and I play music when I want to. It gives me time to write songs and be at home with my family and friends.” Though his warped humor prevails in most of his music, his songwriting skills sometimes gets serious as well, which proves his talent as a well-rounded musician. Manuel is also skilled at a variety of instruments, one of which being the Cajun accordion, of course! 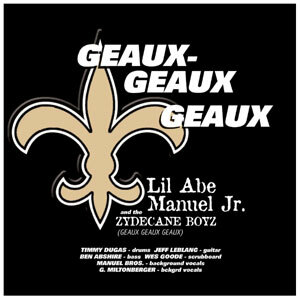 Floyd Soileau, of Jin Records/Flat Town Music Co., endorses Abe on his Swire from Grand Chenier album with this message… “I’m proud he chose our record company to release it, offering the rest of the world a chance to enjoy the extraordinary and exciting talent of this super singer, song writer, musician and entertainer, Lil’ Abe Manuel, Jr.” And that about sums it up! 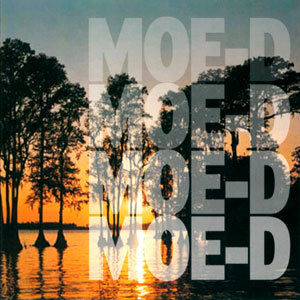 Several of the songs on his Swire from Grand Chenier CD, along with Abe himself, appeared in the 2006 movie, Little Chenier: A Cajun Story, which was filmed in the beautiful bayous of Louisiana. 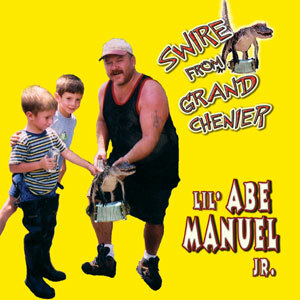 Better buckle up, as madcap Lil’ Abe Manuel’s Swire from Grand Chenier is a ride through a Cajun funhouse. The craziness begins outside, with its adorning artwork of him grappling an accordion-squeezing alligator, then baring more than his soul on the “rear” accordion shot. But the real mischief is inside, where, with impish delight, Acadian dancehall melodies get commandeered for Manuel’s own cracked muse. that’s when the musician-singer-songwriter with the cartoonishly backwater inflection springs forth the repetitive repetition of “I Don’t Repeat Myself,” “Pickin’ the Piquants,” a certifiably whacked “Ka Ka Song,” and the sing-along title track, which towered as 2008’s biggest single on southwest Louisiana radio. 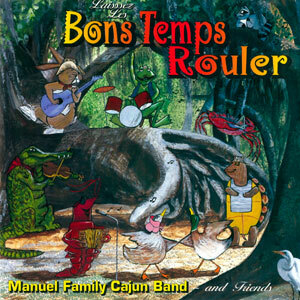 Although it accurately likened to a bayou blend of Ray Stevens and Roger Miller, Manuel is more than a downhome jester. He’s long been the right-hand man in Merle Haggard’s band. And he can readily temper the clowning with steadfast Cajun pride and heartfelt poignancy (as with the post-Katrina lament of “Hurricane Women”). Yet it’s that capacity to twist chank-a-chank into “My Baby Chews Tobacco (But She Won’t Choose Me)” that’s pure warped genius. Abe Manuel, Jr. was part of Merle Haggard’s squadron in the ’90s, but eventually returned to his ancestral Gulf Coast homeland where he’s performed and recorded with various Cajun-country aggregations ever since. This offering—the first under his name—collects previously released, out-of-print gems coupled with seven new beauts. 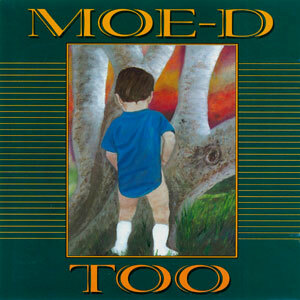 Eleven tracks come from the out-of-print Honky Tonk Band CD, and include such regional favorites as “H.B.P.D.” and the title track. The uninitiated will either detest these demented proceedings or lovingly embrace them, depending how paramount humor is in one’s life survival kit. Comparisons to a Cajun Roger Miller aren’t that far off. With endless cartoonish voices, he delivers such laugh-out-loud lines as “I crawled up to her like a man” (“Alligator Woman”) and testifes that he’s dropped his carnal vices, changed his religion and now he’s too good to die (“Hypochristian Waltz”). Though warped humor prevails, Manuel is also skilled at a variety of instruments, including accordion, so many tracks rock, swing and boogie. Occasionally his songwriting gets serious, as on the dreamy “Rainbow Song” where he ponders, “Where do the stars go at night?” and “Who’s in charge of setting up the moon?” Sure, they’re rhetorical questions for useless philosophical thought, but if Abe Manuel, Jr. asks them, they’re worth considering. Facebook: Lil’ Abe Manuel, Jr.
YouTube: Lil’ Abe Manuel, Jr.